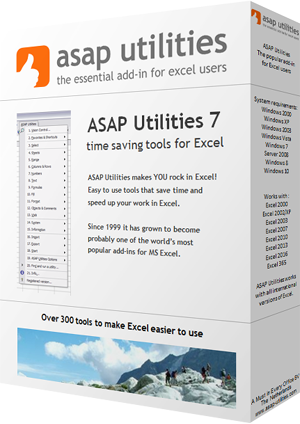 This utility merges the data from the rows in your selection. For each column in your selection the data from the adjacent rows will be concatenated into the first cell in the column. You can specify a delimiter to put between the cell values. You can use this utility as a quick alternative to Excel's =CONCATENATE() function.